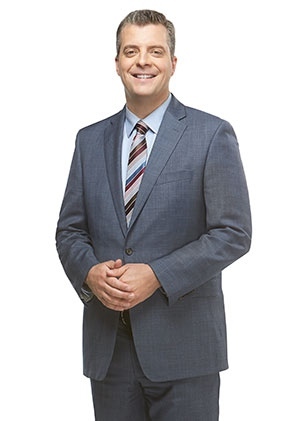 Chris Epp is a senior reporter and news anchor for CTV Calgary, specializing in provincial affairs. Chris joined CTV Calgary in 2007, after reporting stints in Toronto, Saskatoon, Regina and Edmonton. He’s covered eleven elections, two royal visits and sadly, zero Stanley Cup wins by the Flames. His career highlights include reporting on a blackout in Toronto, a chemical spill in Louisiana, and a physician training program in Laos. Chris grew up near Didsbury on a farm that’s been in his family for nearly 80 years. He has degrees in Political Science (University of Manitoba) and Journalism (Ryerson University) and is a past recipient of both the CBC Joan Donaldson Scholarship and the CIDA-CAJ Fellowship. Chris lives in Calgary with his wife and two young sons. When not reporting, he’s playing hockey, volleyball or failing miserably at learning French.